This morning, as I came in from a gourgeous mountain run in the hills behind Ajaccio, Corsica, I was flooded with memories from my many running adventures and experiences in Greenland. 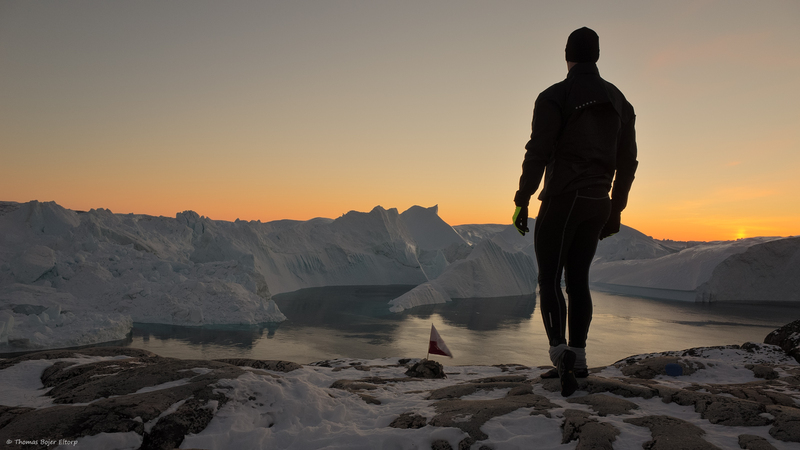 Today was a warm spring run, where as most of my favourite running experiences from Greenland are from winter time. Artic Winter is not a place or time typically associated with running. Temperatures dropping below -15C, thick snow cover, what pavement you can find covered in thick ice. Often it will be But in reality it is a perfect set of conditions for those magic moments that will stay with you forever. The image above is from one of the most magic runs I have ever had and a genuine magic moment in life too. Location is the Unesco world heritage listed Ilulissat Icefiord, it was a November afternoon, just around sunset and temperature a freezing ´-17. It was one of those moments where silence, solitude, light and nature stopped time and took my breath away. My point with sharing this image? - I dont know... Perhaps to remind you to pack your running shoes when going to Greenland - Or better yet; just to go to Greenland!